The CE604 is a DVI Dual View USB based KVM Extender that features Dual View functionality, which enables the video output to seamlessly display on two monitors. 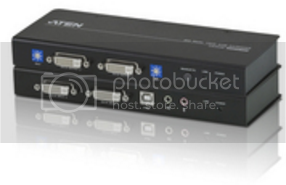 With RS-232 serial functionality, it allows access to a computer system from a remote console up to 60 m away. The CE604 is built for control and security purposes, and is targeted towards financial and industrial markets.